Mysterious power outage? Blown fuse? Concerned about the safety of your electrical system? Call Anytime Electric anytime, day or night, for emergency help. 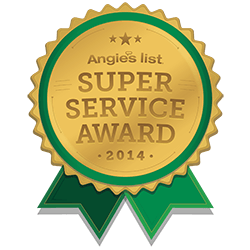 You can be sure that Anytime Electric is more than capable to handle any and all emergencies in a timely manner. We are trained and highly skilled to deal with any and all emergencies you may have. You do not need to worry about your emergency repeating itself once the issue has been resolved. New light fixtures can add luxury, beauty, ambiance, and personality to any St. Louis home or office. 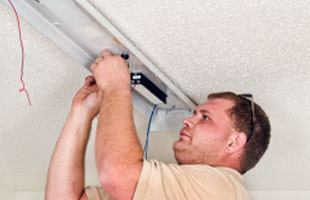 Whether you need to replace an existing light fixture with a new one or are having a problem with a broken light fixture, we can add, install, or replace any light fixtures you wish. 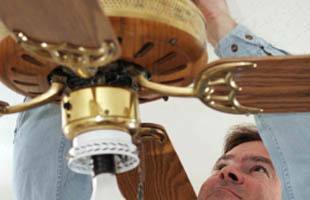 Is the wobble of your ceiling fan getting worse? Do you want to have it fixed before it falls on someone's head?After reinstalling, tightening, wiring thousands of ceiling fans, we've seen it all. Whatever the cause of your Ceiling Fan Frustration, Relax, we are a phone call away. If you are looking for an St. Louis Electrician then please call Anytime Electric at 314-280-0997 or complete our online request form.